The DFRobot 6V, 180rpm Micro DC Geared Motor with Back Shaft is ideal for DIY enthusiasts and is designed to easily incorporate the DFRobot Encoder. These motors are inexpensive, small, easy to install, and ideally suited for use in a mobile robot car. The DFRobot RoMeo microcontroller (sold separately) is able to complete the closed-loop PID making use of the optional encoders. 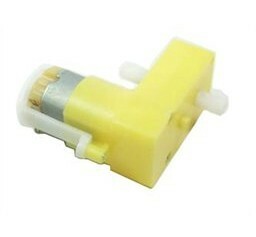 Get TT Geared Motor with Back Shaft from DFRobot Store or DFRobot Distributor.